So your child is old enough for formal schooling, where do you go from here? What do you need to start with? 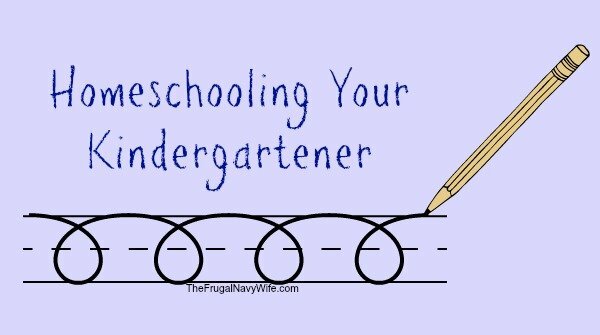 While you can find countless opinions on the internet or from friends on how to homeschool Kindergarten, the one reoccurring theme you will hear is to not spend a lot on a box curriculum. There are a few basics skills that your child needs to master and these are the tool; a good phonics program, a writing program, and math. After months of researching, web searching, and asking the opinion of every mom I knew with homeschool experience, I finally came up with this collection of resources that I think cover the 3 most important basics for a reasonable price. If you purchase everything I have listed below you will still spend less than $65 and you will be on your way to teaching your little schooler what they need to know. If your child does not know all their uppercase letters, lowercase letters, and the sounds they make start with that, for the purposes of this post we will assume they already have these skills mastered. Handwriting Without Tears– You need only buy the Letters and Numbers for Me workbook, and either the Handwriting Without Tears Slate Chalkboard, or (this is what we use) if you have an Ipad the WetDryTry app. You can buy the teachers manual but I don’t really consider it necessary, you can still do the exercises without it. Another idea is to print off pre writing choices (or make your own with microsoft word) and use sheet protectors and dry erasers to re use them! Teach Your Child to Read in 100 Easy Lessons – A great book for teaching your child the basics. The lessons start very simply and gradually add on more complex skills as they progress. I am using this for my son and he has fun and always wants to be the one to run his fingers under the letters! The best lessons are the ones tour kids get excited about! For the basic math concepts they need to learn I have picked up several workbooks from Amazon and these are our favorites Math Made Easy, and Brainquest (this covers a lot of “subjects”) I have also picked up a few small ones from Dollar Tree or Target Dollar spot. I have also picked up the Primer version of Math U See (not included in the $65 total). I thought I'd give it a try since i got it really cheap and my son loves it so we might continue with it. You would be amazed at the variety of school supplies that are available at Dollar Tree and Target’s Dollar Spot. To round out the suggestions I made above I made a few trips there and purchased; a paper clock, flashcards, Kindergarten writing tablet/paper, an alphabet poster, pretend money for learning to identify, and a pocket chart. I was also able to find some cute little tins that would make a great place to organize; markers, crayons, pencils, scissors, and things. I have been really surprised at how much I have found at he dollar store! Some of the work books are really nice to not cheap like you might expect. We are about a week into learning to read in 20 lessons. It sounds a lot like your workbook in 100 lessons. Great information, thanks!